Android 8.0 Oreo on the Pixel 2 and Pixel 2 XL comes with default colour profile aimed at sRGB to standardise the colour display. It uses the colour management system to enable different colours to display whenever required. As nifty as Google thought it to be, but some users felt that it made the colours look dull, specifically on the Pixel 2 XL. Now, to normalise the colour display, there is a new app named Oreo Colorizer that enables users to force a wider colour gamut across all apps. Colour accuracy and display calibration on a smartphone matter the most for new buyers. Taking an example from the OnePlus 3, the device was whipped by some of the reviewers who did not like the display calibration on it. Many even went on to call it as the one with the worst displays. The main reason for the backlash was that the company was forcing a saturated display that was not liked by some users. To get away with the shortcoming, OnePlus later introduced an sRGB toggle that enabled the OnePlus 3 to attain colour accuracy on their phones. Google, taking inspiration from OnePlus, has done something similar for the Pixel 2 and Pixel 2 XL smartphones. The problem was surfacing on the Pixel 2 XL more than the Pixel 2 due to the OLED panel. Google did add a Vivid colour option, but it did not do much for the display correction. Thankfully, Oreo Colorizer lets users force wider colour gamut for all apps, just with a simple toggle. Oreo Colorizer uses an invisible system overlay that forces the display to widen its colour space. 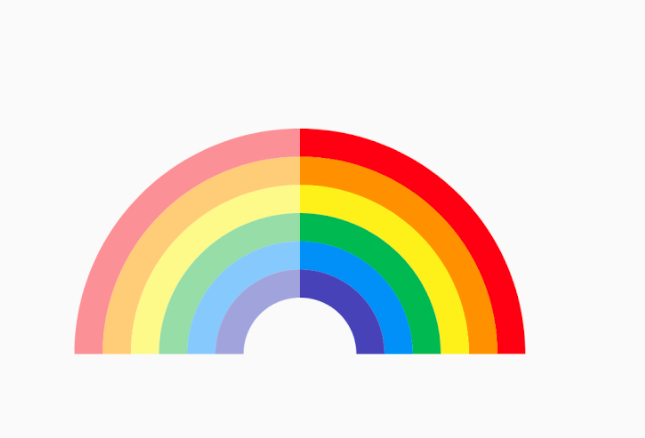 There are two modes in the app – the Standard Mode can be used for passive colour distribution across the screen while the High-Performance Mode forces colour space to expand. For now, the app is in its early stages and users may experience some lag in the High-Performance Mode.